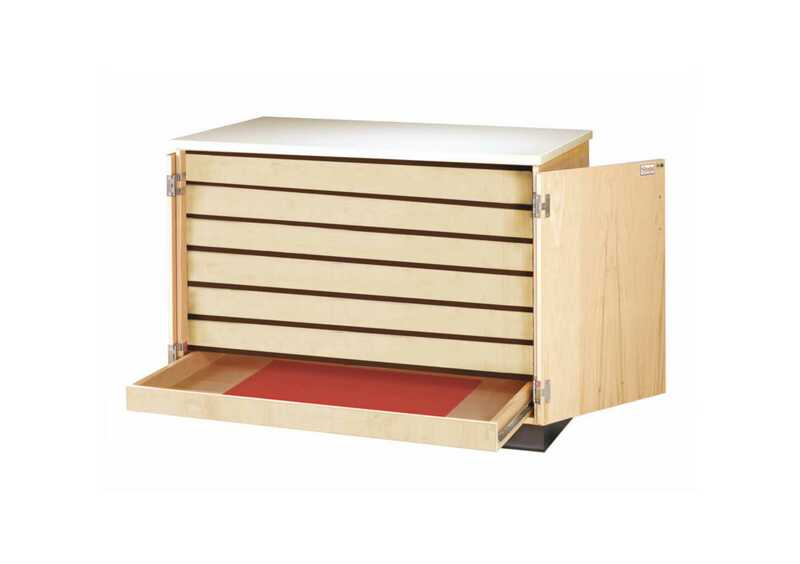 This maple plywood cabinet provides storage space for flat items like paper, blueprints, and maps. 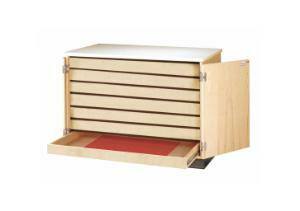 It has seven pull-out drawers measuring 41"W x24"D x 3"H (inside dimension). Both doors lock. The cabinet can be used as a work surface as well, with its 50"W x 30"D 11/4"H almond colored plastic laminate top. This unit is meant to be against the wall, the back is unfinished.